Mars Has “Oceans” of Water Inside? BREAKING NEWS, The Solar System Leave a comment Mars Has “Oceans” of Water Inside? 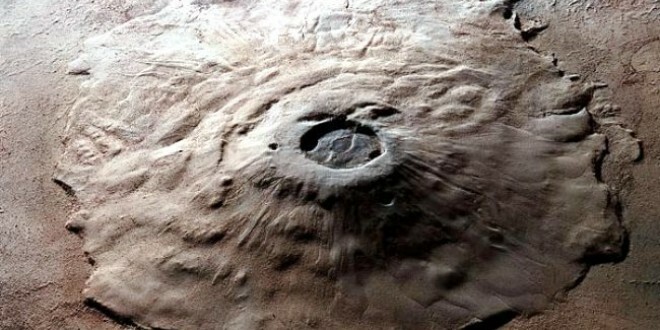 And volcanoes flooded early Mars with H2O, meteorite study hints. Mars could have entire oceans’ worth of water locked in rocks deep underground, scientists say. The finding suggests that ancient volcanic eruptions may have been major sources of water on early Mars—and could have created habitable environments. According to a new study, Martian meteorites contain a surprising amount of hydrated minerals, which have water incorporated in their crystalline structures. In fact, the study authors estimate that the Martian mantle currently contains between 70 and 300 parts per million of water—enough to cover the planet in liquid 660 to 3,300 feet (200 to 1,000 meters) deep.